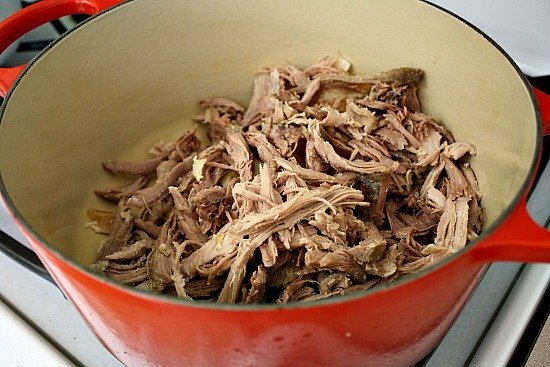 Could I cook roast in a pressure cooker to save time? Absolutely. I need to use my pressure cooker more, you’ve given me a great idea. Hi I am.currectly preparing this dish and its simmering away. But i still have my lime left…. I read over the directions several times but I may still be missing it, where does the lime juice come in? Add at the end? I just made this last night. I had almost all of the ingredients. I looooovvvveeeee it!!!! Thanks for sharing this!!! Thank you so very much! And I appreciate that you took the time to let me know. High Five! I made this yesterday and this was delicious. I had medium Hatch chiles and boy was it spicy! The only thing I changed was the amount of pork. I used 1.5 pounds rather than the 4 the recipe calls for. It was still very meaty, so I was surprised the recipe calls for 4 pounds. 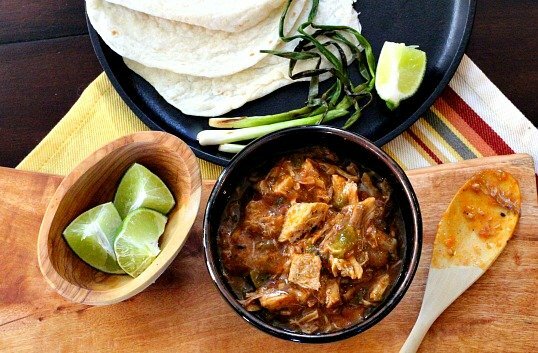 Hi there – I made your green chile tonight. It is so delicious, very welll-balanced. I didn’t have any Chimayo chile on hand, but I’d read about chimayo’s citrus notes so subbed NM Chile and added a scant amount of orange zest. It’s like a touch of sunshine n the pot. Thanks for sharing your recipe. Thanks so much for your note and I’m so glad you liked it. Love..love..love your idea with the orange zest. Here’s to a delicious Sunday. Excited to try this!! Is the 1½ tablespoons coriander ground coriander seed or meant to be fresh cilantro? I presumed it was ground coriander seed and that seems rather intense and overwhelming. This was my question. I love the sound of the recipe but I don’t like the assumptions people make when writing. Is it cilantro? Is it ground coriander, seed? Sooo frustrating especially with something cooking that long. I’m guessing it’s ground but hats so much. Hi Bret: It’s Ground Coriander. I’ll change the recipe. Thanks for pointing that out. I do like to add fresh Cilantro at the end however. Following the rule: dried spices at the beginning of the cooking stage and fresh at the very end. 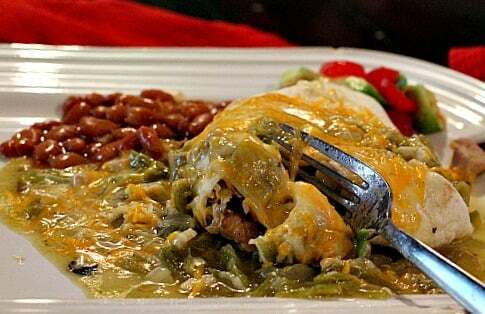 I am about to try your Hatch Green Chili, Colorado Style recipe. When previewing the recipe, I had the same questions about the coriander…fresh cilantro, whole coriander seed, or ground coriander? I searched the comments to see if anyone asked the question previously and found my answer. I noticed you were going to clarify the online recipe but it still says “coriander” and does not specify what form. This is just a friendly reminder to update the recipe. It sounds like tomorrow is supposed to bring our first chilly blast of fall weather and this seemed like the perfect recipe for a chilly Sunday afternoon. Can’t wait to try it! This was very good but WAY too much thyme. I would probably omit completely next time around. Also, added extra cup of sharp cheddar. TY! I’ve been looking for a recipe like This! Very similar to my ex husband’s that I love but he won’t share the recipe…. 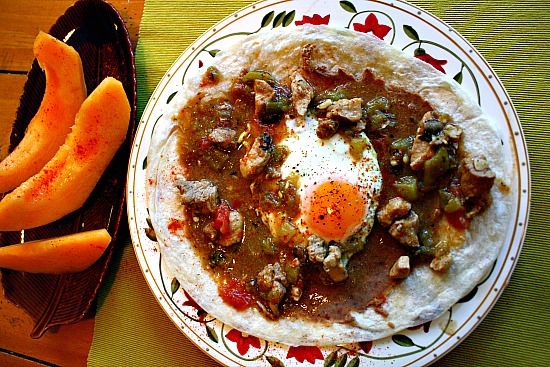 Huge fan of green chili, don’t know when I first had it – sometime when I was a kid, but I’ve always loved it. My husband is a Rep for Sandhill Scientific, in Highlands Ranch, CO and we visit most summers. 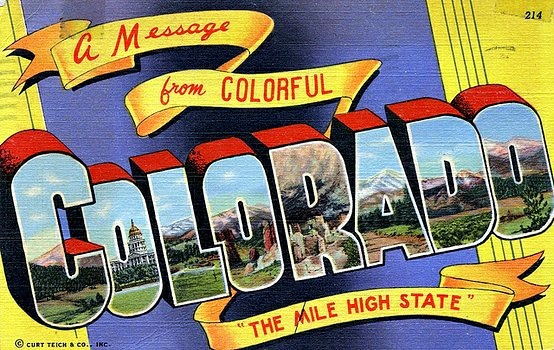 Love Colorado and the Southwest/West in general. 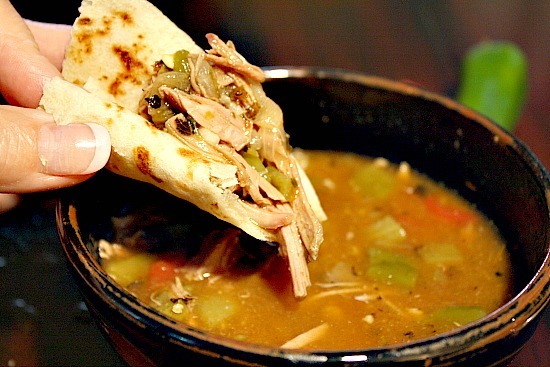 I try green chili wherever I find it out West, always searching for the best. 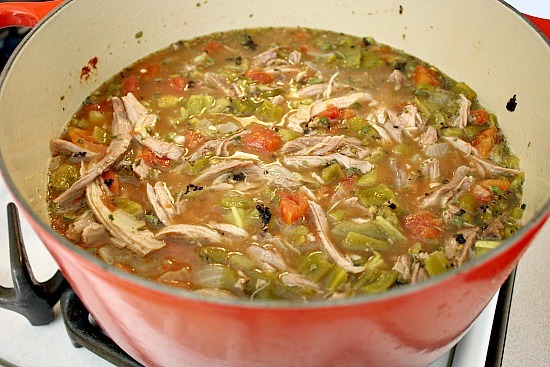 I make a Green Chile Pork Stew that I just sort of pieced together over the years. Very similar to your recipe. I sometimes serve it pretty straight and sometimes add hominy and black beans to round it out a bit more. Depends on my mood. Anyway, delighted to find your site and look forward to learning from you. I saw the Chimayo Chili Powder mentioned and did a bit of research online. There seem to be a few purveyors, but wildly different prices and availability. I’m wondering if some of these outlets might be selling “contraband” or “faux” Chimayo Chili Powder? I usually buy my spices from Penzeys or Savory Spice but have not see that particular one. I’d love to try the real deal and am searching for a reputable dealer. Would you be willing to part with the name or site where you purchase yours and is it available online? Thanks in advance if you can part with it! https://www.amazon.com/gp/aw/d/B073MNYJPT/ref=mp_s_a_1_2_a_it?ie=UTF8&qid=1505528626&sr=8-2&keywords=chimayo+chile+powder&dpPl=1&dpID=3181HpOOUtL&ref=plSrch. Here’s a place to get real Chimayo chile powder. Based on the 1 review of that product, I am suspect it is authentic chimayo or not. 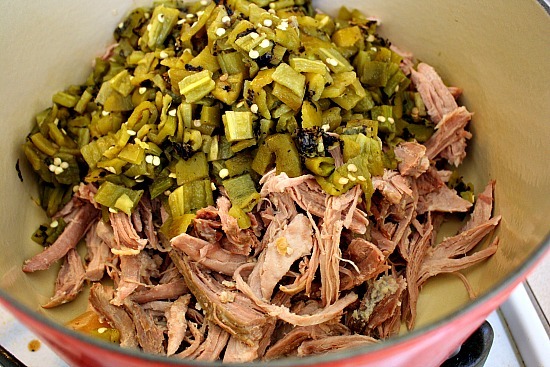 I am entered in a Chile contest and was thinking about cubing the pork…would you use the same cut of meat? BTW, there is no need to drive all the way to Brighton for homemade tortillas. There are several places on So. Federal. We go to Las Tres Americas on Federal and Evans for both flour and corn tortillas. And yes, they are still warm when you get them. Does anyone have a good place to get authentic chimayo chili powder?????? Hard to tell what’s what from searching on Google. I don’t. But I’ll be making a trip soon to the town of Chimayo. I’ll have my hands on authentic. Thank you for this recipe! I have tried it twice, and it’s a definite keeper! I also live in Colorado, and found the 1st roasted green chilis in the frozen food isle of King Soopers (aka Kroger, to our east coast friends.) My hubby likes it hot, so I also added a can of diced jalapenos to my first attempt. No complaints; great recipe as written. Tonight, I tuned it up a notch; Denver’s Mile High Flea Market had booths with fresh roasted chilis. I bought three, 1 gallon zip-locks of fresh roasted hatch chilis at $2.50/bag. I made the recipe as written, after dicing all 30, banana sized, roasted chilis. Their charred skins gummed up my knife every 5th chili- be prepared with a paper towel. Since we like it spicy, I also added 1/2 jalapeno, and a dash of habenero. It is very hot, so the added peppers arent recommended! We use this chili on egg and potato breakfast burritos.. Yum! Looking forward to making this. When you refer to 1 1/2 T coriander, are you referring to cilantro, ground coriander, or coriander seeds? Actually I use ground coriander. And I like to garnish with a little bit of fresh cilantro. I think the flavors differ, so both are welcome. And if you want to substitute coriander seeds, I’d toast them a bit and them crush them. Thank you! So 1 1/2 tablespoons ground coriander is correct not 1 1/2 teaspoons? I’m making it now and the house smells amazing. Now you’ve got me 2nd guessing. Did you put 1 1/2 Tablespoons? I had someone else question that amount about a year ago. I put that much but would love to hear your thoughts. Could cubed potatoes be added he this? The best green Chile stew I’ve ever had was in Castlerock, CO and I believe it had diced potatoes. How would this affect the cooking time and thickness? Best recipe ever!!!! The peppers came to MINNESOTA via whole foods. I was able to get the chimayo Chile on eBay from a guy that lives in Colorado. Thank you for a fantastic recipe!!! !